9, Jalan SS21/1, Subang Jaya, Selangor. WELCOME this Christmas and New Year at Holiday Villa Hotel and Suites, Subang, which is offering diners a selection of sumptuous meals at its Palm Terrace Coffeehouse and Cibo Restorante Italiano. The hotel’s Palm Terrace Coffee house exudes a warm and cosy ambience suitable for this festive season. Chef Motada Dan, from Sarawak, said diners can expect a wide selection of food for the buffet menu at the coffeehouse. “We are bringing a variety of western food and Christmas desserts for diners to indulge in at the buffet,” he said. The highlight of the Christmas Eve buffet is none other that the traditional roasted turkey with chestnut stuffing served with giblet gravy, peppercorn and cranberry sauce. The turkey is juicy and succulent and is matched perfectly with the cranberry sauce for that added tinge of sweetness to the taste. “The sauces are a common mix that blends well with the turkey. Diners who are not so fond of the giblet gravy can opt for cranberry or peppercorn sauce,” said the chef, who has been in the culinary line for 15 years. Placed just beside the turkey was Spanish dish Paelle Valencia and it was its aromatic fragrance that attracted me. 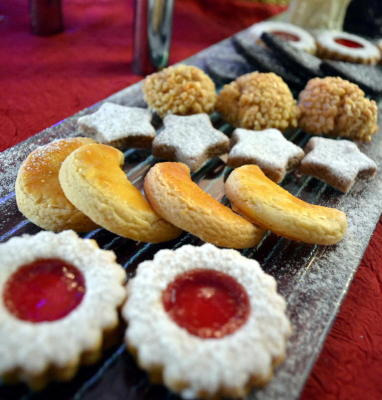 Ginger break and shortcake: A variety of Christmas desserts to offer diners during the buffet. The dish was accompanied by fresh shrimps and mussels as well as tomatoes and lemon slices making it exceptionally delicious and appetising. There are other delicacies on hand such as Waldorf Chicken Salad, Duck Galantine, Poached Chicken Roll with Basil Creme, and Poached Seafood a la minute as well as myriads of delectable desserts such as Yule Log cake, Blackberry Charlotte and Mango Souffle Tart. Over at Cibo, two of the main course highlights for its Christmas Day “Tavolata” dinner menu are their Grilled Rack of Lamb with Roasted Potato and Wilted Spinach; and Grilled Tuna Medallion with Potato Timbale and Capers sauce. The Christmas menu also included Salmon with Mesclun Salad, Forest Wild Mushroom Cappucino served in Bread Tureen with a hint of Cinnamon, Gratinated Tube Cannelloni stuffed with Ricotta and spinach topped with sage, tomato sauce and Pecorino cheese as well as traditional Italian Cheese Mousse with Mocha Cream wrapping up the meal. 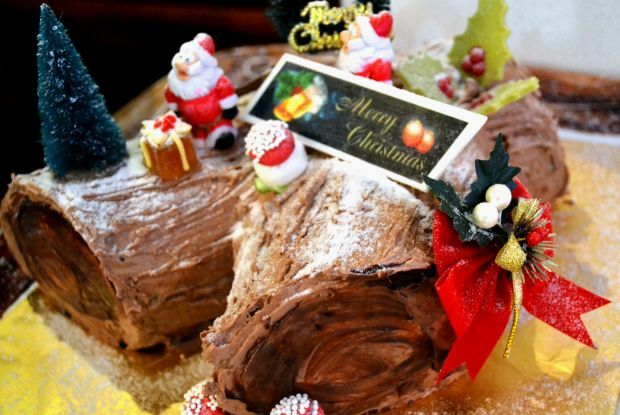 Both the Palm Terrace Coffee house Christmas Eve Buffet and the Christmas Day Buffet Dinner are priced at RM118 per adult while children aged six to 12 get a 50% discount. The Christmas day “Tavolata” at Cibo Restorante Italiano is available from 7pm – 10.30pm.